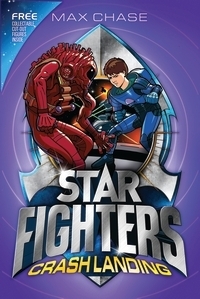 After the Universal War, a war that almost brought about the destruction of every known universe, the planets in the Milky Way banded together to create the Intergalactic Force - an elite fighting team sworn to protect and defend the galaxy. 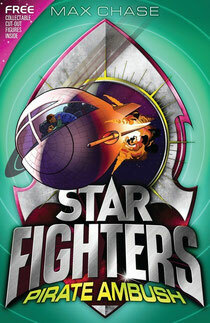 Check the amazing Star Fighters website here. 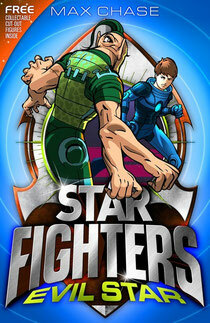 To avenge the attack on earth, Peri and Diesel, have sided with the Meigworians in the new intergalactic conflict. They agree to rescue a Meigworian Prince, held captive by the Xions. But as they leave, the Meigwor insist that Otto, a gigantic Meigworian bounty hunter must accompany them, and Selene should stay behind to help fix the Phoenix. Our heroes capture the Prince and narrowly escape Xion, but the book ends with a twist - the prince says he is in fact the prince of Xion, not Meigwor, and they've just kidnapped him. Check out other verisons of Deadly Mission here. Crash Landing Peri and Diesel have succeeded in rescuing fellow crew member Selene, but now the Phoenix is under fire from not one but two alien armies - Xion and Meigwor. Whilst trying to escape the cross-fire they are sucked into the atmosphere of a mysterious planet. They survive the crash-landing unscathed, but now they must face the planets inhabitants ...who aren't pleased to have visitors. 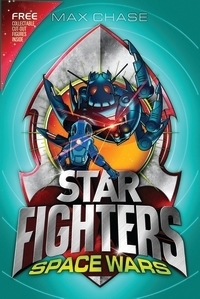 Star Fighters - Book 6: Space Wars! Having escaped Xion, the crew of the Phoenix needs to find a way back home, but before they can locate the Milky Way they see a monstrous object looming through space towards them. It's the legendary Extractor - destroyer of planets - and it's on its way to destroy Xion. Faced with a dilemma: return home, or help save the aliens who just tried to kill them, Peri decides to use his half-human half-robot skills to try and save the Xion. Only then can they go home. Having returned from their last mission unscathed, Peri, Diesel and the crew finally earn their STAR FIGHTER badges. Now as fully fledged pilots they are given their first real mission. When the Intergalactic Force Space Station was destroyed by the Xions, a notorious space pirate, Jaxx, escaped. Their new mission is to capture and return Jaxx so that he can stand trial. But known space is vast and Peri and Diesel must use all their cunning to locate the wily pirate. The crew of the Phoenix discover that the space pirate who stole the Heart of Mars is working for none other than the Mezzoka Clan, the most dangerous and slippery gangsters in known space. Worse still, the Heart of Mars represents the final piece of a deadly weapon which the Mezzokans are building to attack the Milky Way - the only galaxy refusing to pay them protection money. 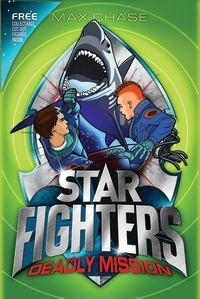 Can the Star Fighters find them before the Mezzokans activate the Mezzonator? The Milky Way is depending on them.